Canada is a treasure trove packed with all kinds of natural wonders and a selection of national parks that leave visitors breathless. With over forty incredible parks on offer, it can be difficult to know where to travel to first. In order to stimulate inspiration for an unforgettable voyage of discovery in the great outdoors, here are ten of the best national parks in Canada. 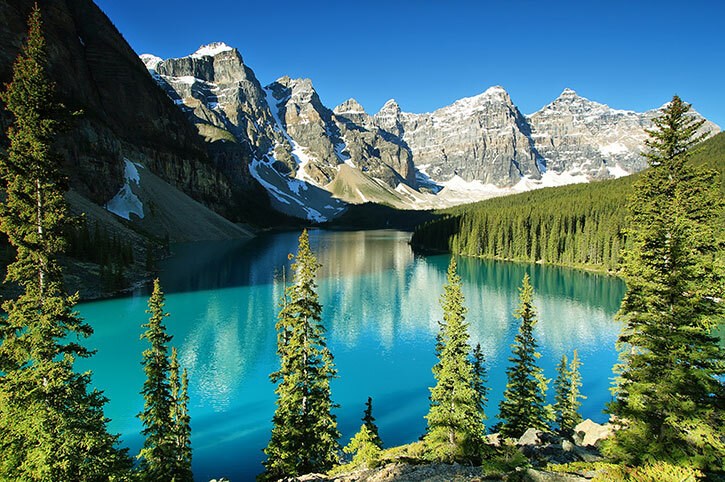 Officially the oldest of Canada’s national parks, Banff National Park is a must for outdoor enthusiasts looking to enjoy breathtaking scenery and the chance to indulge in all kinds of pursuits and activities in the world’s third largest national park. Banff is a mystical wonderland, the beauty of which has to be seen to be believed. No amount of Instagram images can do justice to the overwhelming sentiments and emotions that engulf the soul when clamping eyes on the snowy peaks, lush forests and glistening lakes that make Banff such a special place. It’s possible to explore for days, even weeks, but many visitors only have a day or two to get to grips with the park and its wonders. There is always a surprise around every corner, but for those looking to tick off the highlights on a short itinerary, it’s best to head for Lake Louise first. This vast, tranquil body of water is surrounded by the white summits of the famous Rocky Mountains and in winter the setting is reminiscent of something you’d find in The Chronicles of Narnia. Banff is a wonderful place for those who enjoy action and adventure, and there’s a vast range of activities on offer, including hiking, biking, climbing, canoeing and camping. Nearby Banff town is a lively hub filled with shops, eateries, bars and hotels. Incorporate Banff National Park in an epic Canada Self Drive. Located on the eastern slopes of the Rockies, Jasper National Park is characterised by scintillating scenery, which intertwines coloured lakes, pristine glacial plains and vivid meadows. It’s difficult to pinpoint individual highlights but visitors should most definitely make time to explore the vast sparkling sheets that make up the Columbia Icefields. Covering more than 300 square kilometres, this is one of the world’s most expansive non-polar ice fields and the best way to get around and discover the beauty of this natural marvel is to take a guided tour in an all-terrain ice explorer vehicle. Jasper is also famed for its hiking and cycling trails, with an abundance of routes on offer for hikers of all abilities. From short circuits with incredible views of turquoise lakes to all-day hikes, there’s something for everyone. And although this is an enchanting park by day, the magic doesn’t fade when the sun does. By night, Jasper takes on a whole new dimension and it is one of the best places on the planet to admire unadulterated and unpolluted night skies, with stargazing opportunities aplenty. The Dark Sky Festival, which takes place in October, is always a highlight in the calendar. From Icefields Parkway Discovery to our Wildlife Discovery Tour, book your Jasper National Park Day Tours today. The second largest national park in Atlantic Canada, Gros Morne National Park is nestled on the dazzling coastline of Newfoundland. 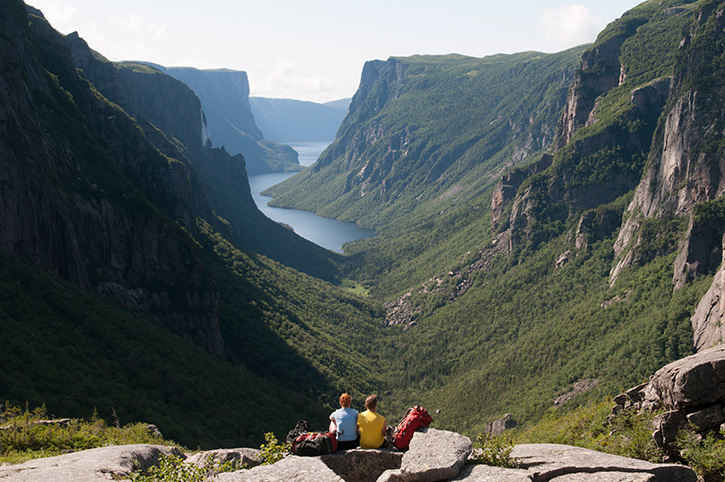 A World Heritage site that boasts everything from imposing granite monoliths and rugged cliffs to fjords and secluded beaches, Gros Morne is a marvellous place to take a leisurely stroll, hire a kayak or test the thigh muscles on a challenging mountain hike. The shoreline is dotted with charming seaside communities and, further inland, visitors will encounter waterfalls, forests and some of the best examples of plate tectonics on offer in the world. The Tablelands are perhaps the best spot to appreciate the panoramic vistas and cast the eye over the vibrant flora and fauna. 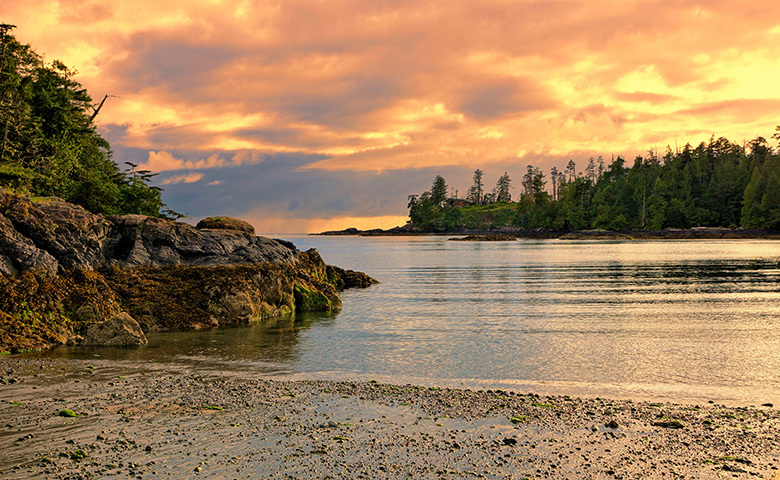 Comprising three distinct areas, Pacific Rim National Park is a jewel located on the west coast of mesmerising Vancouver Island. Made up of Long Island, the West Coast Trail and Broken Group Islands, this is arguably the best representation of Canada’s wilderness. Boasting a diverse set of geographical features, from dense rainforests to sweeping sands, the Pacific Rim is an idyllic spot to hike and embrace life in the great outdoors. Long Beach offers a rugged surf spot with rolling waves and hidden inlets, and Barkley Sounds is a lucid haven ideal for kayaking. Hiking is incredibly popular in Pacific Rim National Park and visitors can choose from treks that will take them through shady forests, across sandy beaches and over rugged cliffs. The Wild Pacific Trail is a must for walking enthusiasts and there’s even a chance to spot humpback whales breaching in the waters. Adorning the western slopes of the Rockies, Yoho National Park is an untouched marvel, paradise on Earth for adventurers and those who love nothing more than spending time in the fresh air. Home to dramatic rock formations and mountains, which have been carved by ice and water over thousands of years, as well as azure lakes and the powerful waters of Takakkaw Falls, Yoho is easily accessible from Highway 1. The Iceline Trail is a popular hike which provides a scenic tour of glaciers, alpine lakes and mountain peaks. Uncover more of the Rockies, from a thrilling Sunburst Canoe Adventure to a mesmerising Maligne Lake Cruise. Cape Breton Highlands National Park is a unique national park which features a blend of habitats found nowhere else in the country. 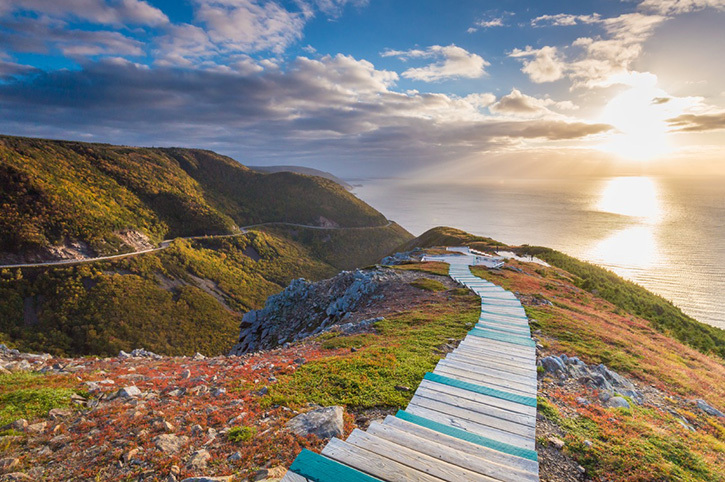 This isolated section of Cape Breton Island is characterised by a fascinating melange of Boreal, Taiga and Acadian forests, which make this corner of Nova Scotia an intriguing prospect for hikers, wildlife enthusiasts, photographers and nature lovers. Defined by a giant plateau, which is flanked by thick forests and plunging canyons, Cape Breton attracts all kinds of species. Here, it is possible to see bald eagles soaring in the crisp blue skies, minke whales spouting jets of vapour into the air and moose parading majestically through the trees. The Cabot Trail takes visitors on a spellbinding trek through the most visually alluring parts of the park. 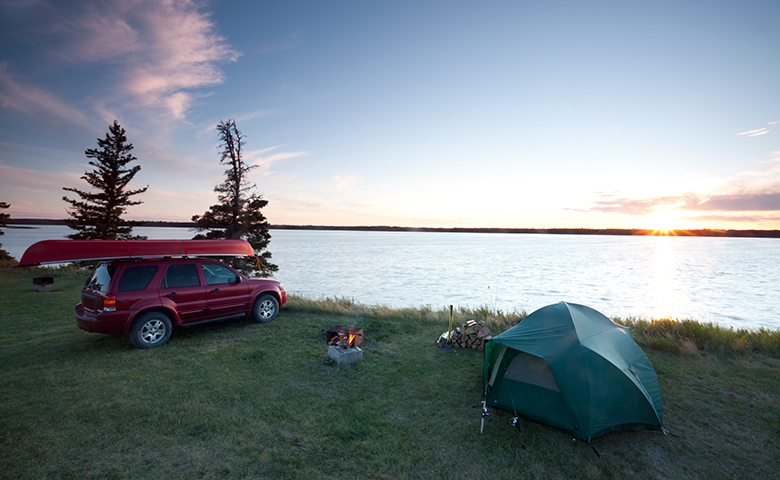 Discover the best of this beautiful region with our Explore Atlantic Canada Self Drive Itinerary. Surrounding the Bay of Fundy on the Atlantic coastline, Fundy National Park is one of the country’s leading maritime parks. 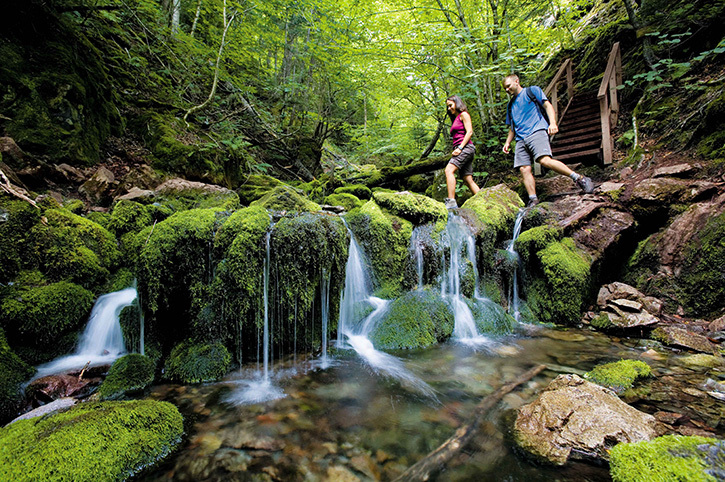 Stretching eight miles in length and covering acres of inland Arcadian woodland, Fundy is a picturesque blend of beaches, coves and inlets and forests, trails and waterfalls. The Bay of Fundy boasts the world’s highest tides, with water levels rising and dropping by up to 12 metres every day. Beach walks are a perfect way to experience the wonders of the shoreline, while an inland hike treats visitors to glimpses of rumbling streams, canopy-covered glades and hypnotic cascades. 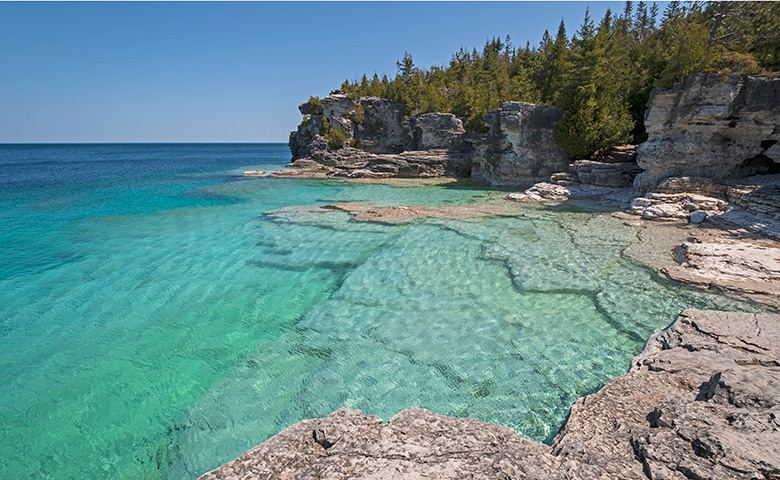 Tucked away on the coast of Southern Ontario, Bruce Peninsula lies alongside the Niagara Escarpment. Around four hours’ drive from Toronto, this park offers visitors the chance to explore 156 square kilometres of lakes, fields, forests and limestone cliffs. The area is home to more than 200 species of birds, amphibians, reptiles and mammals and it’s a fabulous place to take a hike, swim in crystal clear waters and scale rugged stone stacks. Camping is available and there’s a range of options from budget-friendly rustic tents to more sophisticated and spacious yurts. 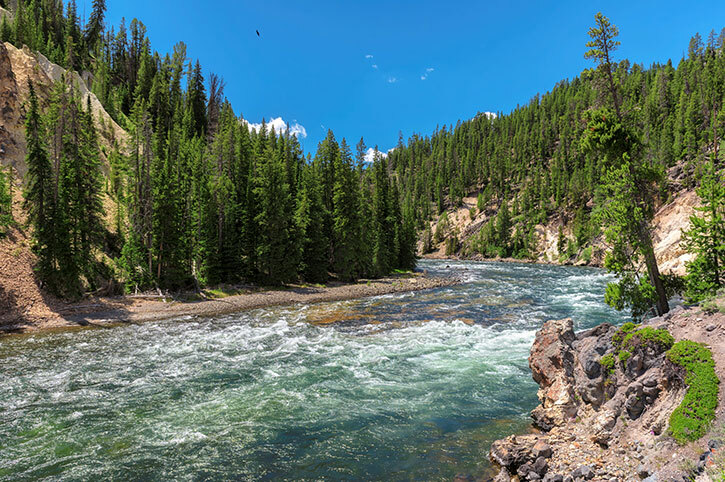 Summer is a popular time to visit and there’s nothing better than splashing around and cooling off after an intense hike. Another gem to add to British Columbia’s extravagant collection of national parks, Glacier is located off the Trans-Canada Highway, connecting the parks of Yoho and Mount Revelstoke. A four-hour drive from Calgary and a six-hour trip from Vancouver, it’s well worth exploring accommodation options to make the most of the glorious alpine scenery. Glacier is famed for its vast forests and striking mountain ranges, and it offers a brilliant backdrop for winter sports, including skiing, ice climbing and snowshoeing. In the spring and summer months, the meadows burst into life with colourful floral displays that shine under the sun-drenched, clear skies. 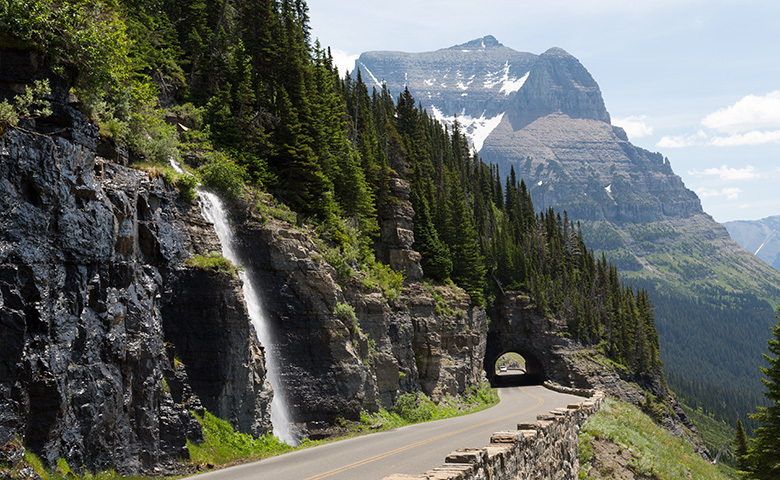 Hiking and cycling are hugely popular in Glacier National Park and visitors can also enjoy fishing, bird-watching and rock climbing. Located in Manitoba, around 100 km north of Brandon, Riding Mountain National Park offers one of the most diverse collections of flora and fauna in Canada. The eclectic landscape features everything from intricately-carved valleys and towering mountains to deserted prairies, glimmering lakes and vibrant Boreal forests. Here, you’ll find a huge network of trails on offer, ideal for hiking, as well as the more apt-seeming horseback riding and cycling. Riding Mountain is an excellent choice of destination for wildlife lovers, too. 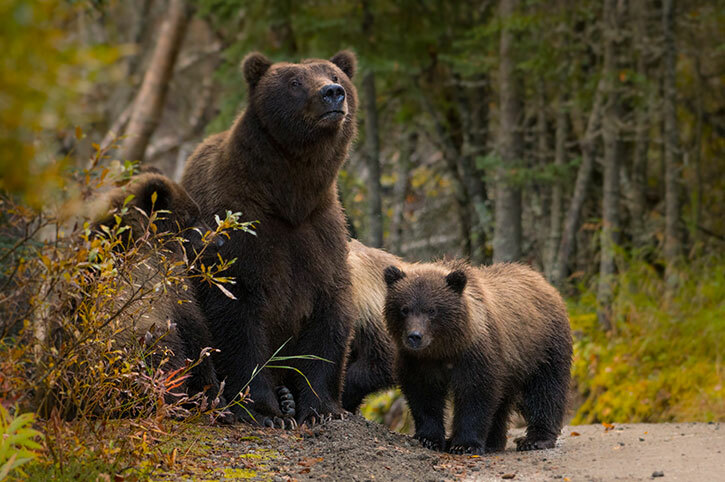 On any given day, visitors could be fortunate enough to see bison, moose, wolves, elk and most importantly for those working on their travel bucket lists, black bears. Beside the serene waters of the Clear Lake, visitors will find the quaint town of Wasagaming, which is also well worth a visit. Visiting Manitoba? Take the opportunity to experience a once in a lifetime Polar Bear Safari. Canada is reminiscent of a giant adventure playground for anyone who adores the outdoors. Packed with national parks brimming with lakes, waterfalls, forests, glades, meadows, beaches, and mountains, there is a plethora of activities to choose from, as well as the chance to embrace the peace and quiet or marvel at the awe-inspiring views that greet you at every turn. Canada is blessed with an array of truly spectacular parks, which are ripe for exploration on foot, by boat, by all-terrain vehicles or on two wheels. For visitors who wish to spend their holiday surrounded by breathtaking beauty, it’s difficult to imagine a destination more perfect than Canada. 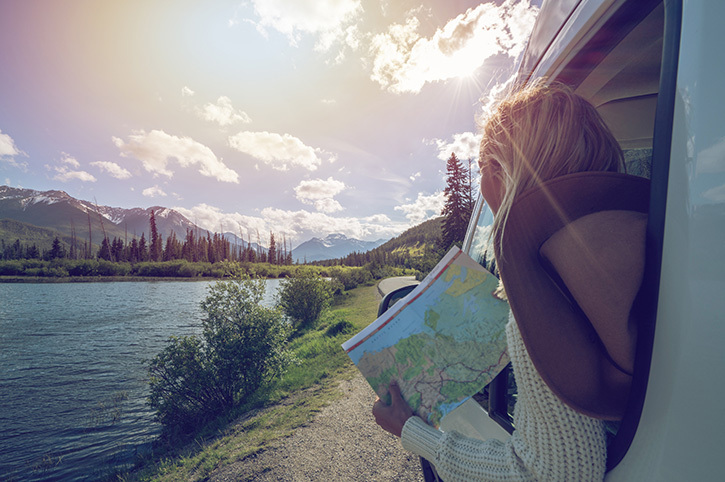 Whether you choose to explore on a Guided Tour or take to the open road on one of our exciting Self Drive itineraries, aim to tick off as many of the best national parks in Canada as possible.